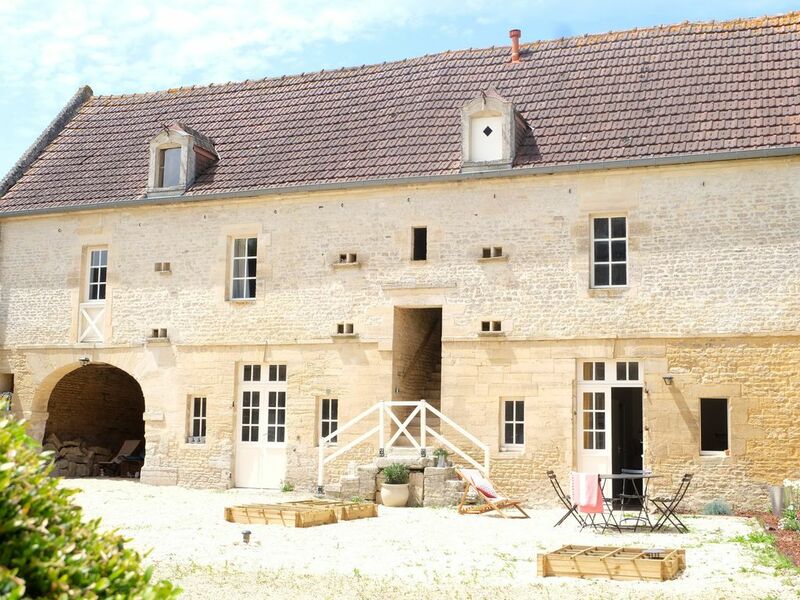 It is in the heart of the Thue valley, 13 km from Caen and 14 km from Courseulles sur Mer, that you will find the Domaine de l'Hostellerie. Built in 1791, the estate was originally a place dedicated to the passing travelers who came to stop there, finding the cover and the house. It is in the respect of this tradition that we wished my husband Gilles and I open the doors of our domain. Its central location will enable you to discover in all serenity the beauties of our beautiful region: Caen and its castle, Bayeux and its tapestries, the coast of Nacre and its landing beaches. It is in a building exclusively dedicated to our travelers that we will welcome you. The apartment can accommodate up to 6 people. It is composed of a bright living room as well as 2 spacious bedrooms. The bathroom and toilet are separated. Outside area consists of a garden furniture, a barbecue and a deckchair. Private parking. Completely renovated in 2016, it will allow you to recharge your batteries in a place full of history. In love, with family or friends, our cottage will contribute to the success of your stay. The city tax is not included in the price and must be paid on site. A bit in the middle of nowhere- which was perfect! It was lovely and Lise was very kind and helpful with our questions! Would love to return!! Good location to visit Normandy attractions. Host Lisa was very helpful with restaurant suggestions. Sehr gute Ausstattung und tolle Lage! Lise war aich sehr zuvorkommend und nett.